One-of-a-kind, hand-built lidded wish boxes. 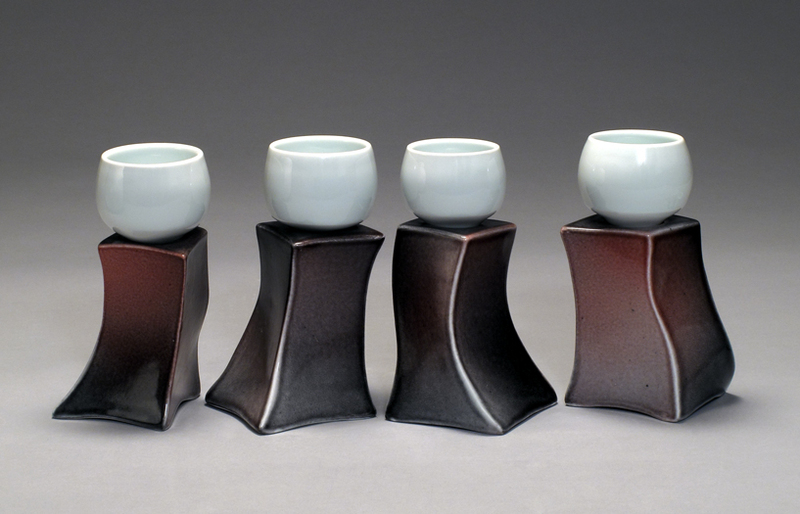 Wheel-thrown porcelain cups with slab-built pedestals. 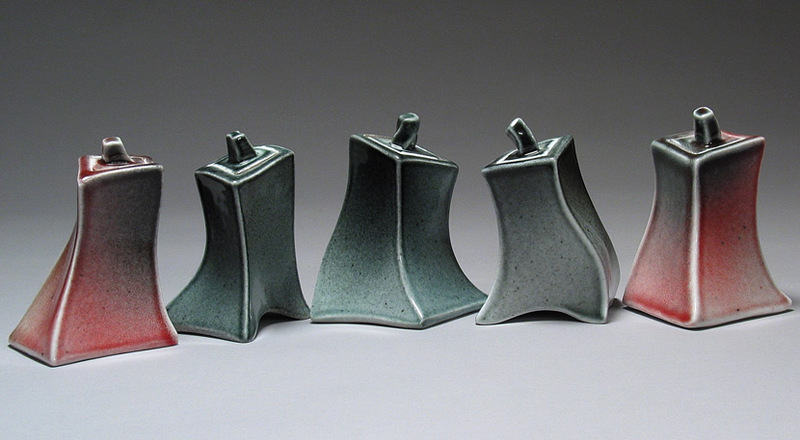 One-of-a-kind, thrown and hand-built porcelain. One-of-a-kind, sculptural vessel. Wheel thrown and hand-built with carved bas relief. Part of the Kirkland Museum Collection. 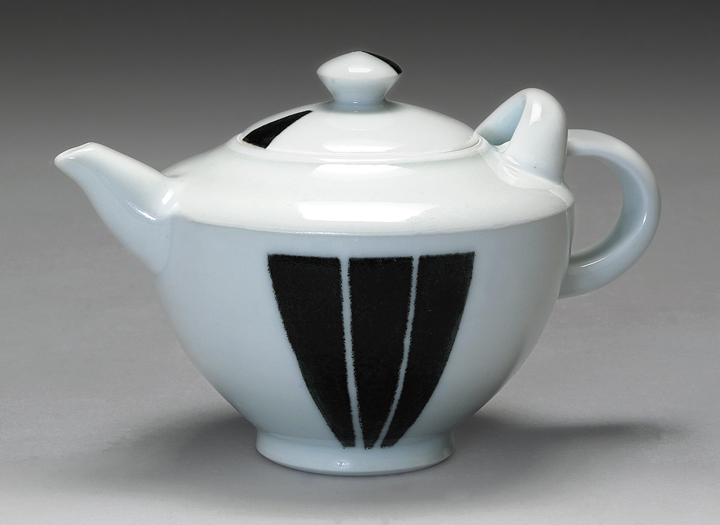 One-of-a-kind, high-fired, wheel thrown porcelain teapot. One-of-a-kind, wheel thrown teapot and cup with hand-built pedestal. Earlier Work. One-of-a-kind, wheel thrown and hand-built sculptural teapot. Earlier Work. 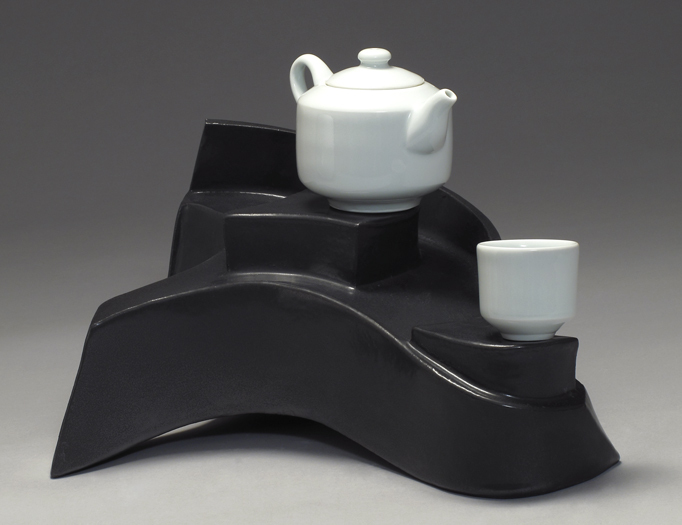 One-of-a-kind, hand-built sculptural teapot. Earlier Work. One-of-a-kind, hand-built sculpture. 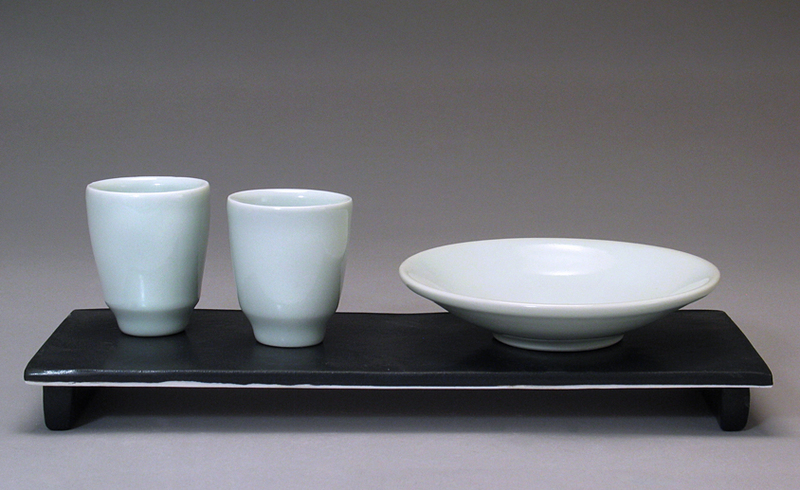 Several years ago I visited a contemporary Japanese porcelain exhibit entitled "Quiet Clarity." That concept holds special meaning for me, as it communicates what I want to express through my artwork. It represents harmony between the physical materials, critical thinking and inner contemplation. As I straddle the fence between sculptural and functional objects, my emphasis is on form and gesture. I use thrown and hand-built components to create compositions that, while they evoke simplicity and refinement, belie underlying complexity and depth. Form is of utmost importance. I hope that others feel and see that my work is made with thoughtfulness and reflection, that it is expressive and enduring and that layers and overtones are revealed over time.